Swansea, Wales EOD Technicians from the Royal Navy cleared a former range area off the Gower Peninsula as part of a 60-year mission to clear the Welsh countryside of UXO. The EOD team was assisted by scientists from the Defence Science and Technology Laboratory (DSTL) who assisted in marking and recording locations of munitions finds. 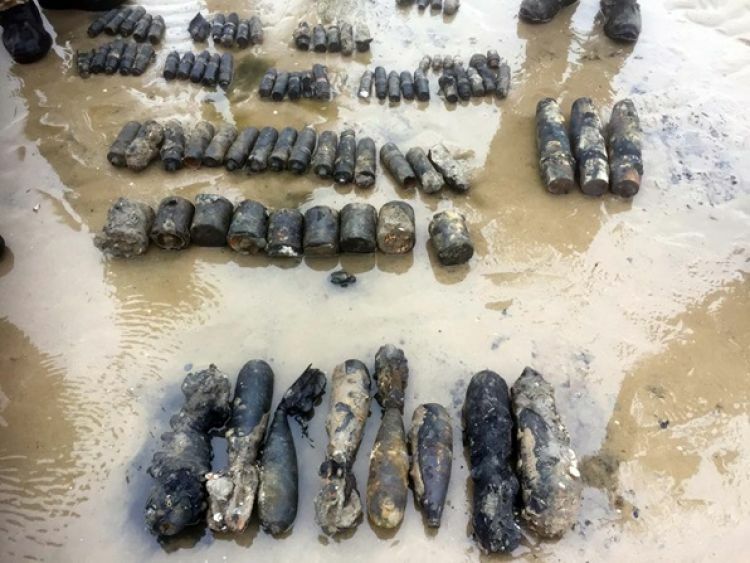 UXO removed included a wide variety of WWII era munitions. EOD used the clearance mission as a training opportunity.